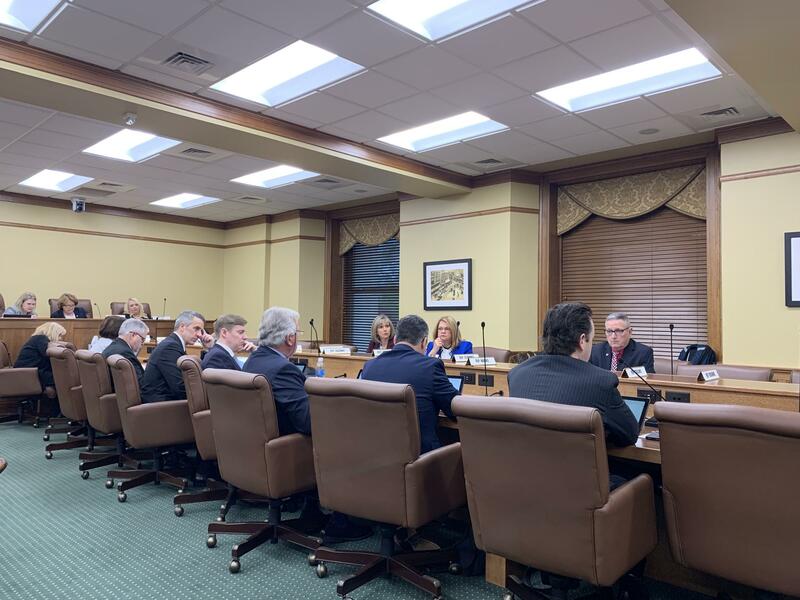 The House Judiciary Committee heard multiple bills Thursday, including a bill that would lower the charge for possessing one ounce or less of marijuana. Under current law, anyone caught with four or less ounces of marijuana is charged with a Class A misdemeanor. Any more than four ounces is considered a felony. According to Blake, 22 other states in the country have lowered the penalty for possessing one ounce or less of marijuana. "As a result of the new laws, there’s been a sharp decline in incarceration of offenders and an increase in revenues for fines in part due to the redirection of priorities towards the hard drugs," Blake said. Blake also discussed the cost of processing the large number of marijuana possession offenses and that in the United States, there are more arrests of marijuana possession annually than of violent crimes. "The huge number of arrests drains resources at enormous cost to taxpayers. More than half of those admitted to treatment for marijuana each year are referred to by the criminal justice system," Blake said. Multiple lawmakers had questions on the bill, including one asking for a fiscal impact statement. While Blake had requested one, it was not ready by the time of the committee meeting. Rep. Brandt Smith, R-Jonesboro told Blake he believed the bill addressed an important topic and mentioned another lawmaker’s efforts to study a similar topic. "Are you aware that Rep. Monte Hodges is also looking deeply into conducting a study on criminal...penalties and that this bill might better fit in his study? So my question is, would you consider pulling it down and adding it to your colleague’s study for a much more broad overview of all criminal penalties?" Smith said. Blake said he was aware of the study, but he thought it was important to bring this particular issue in its own bill and to discuss it with fellow lawmakers. Blake also said he was willing to pull the bill down and send it to a study. After discussion, the committee did not object to Blake pulling the bill.